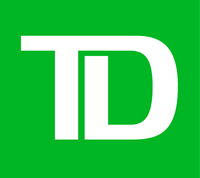 TD Merchant Services is wholly owned by the Canadian Toronto Dominion Bank. They almost exclusively operate with customers who have an account with Toronto Dominion Bank, and, unlike many of the other companies that we reviewed, operates its own processing instead of reselling other processing services. As it is 100% Canadian owned, TD bank merchant services is a great firm to use if your business operates or is based in Canada. They offer special discounts and custom fee structures for different types of businesses, and their rates are also influenced by a company’s credit standing, so companies with good credit might consider opening an account with TD. Bank merchant service reviews also indicate that customers are generally pleased with TD’s customer service, and customers were especially impressed with the TD Merchant Services online reporting, which lets businesses get a good idea how their business is doing to make important decisions. The TD Merchant Services rates are not as competitive as they seem at first, and many customers have argued that, rather than focusing on customers, the business instead focuses on TD Merchant Services careers, privileging profit over customer service. TD Merchant Service has also been criticized over its policy to not work with businesses that don’t bank with Toronto Dominion, so in order to take advantage of their services you might have to change your entire banking system and approach. If TD Bank isn’t the right banking option for you, it’s likely that TD Merchant Services is not the right merchant services provider for your business either. TD Merchant Services is a decent choice for businesses, and may even be a good choice for those businesses that already bank with Toronto Dominion. However, the various restrictions on their services and customer service complaints keep them out of our top merchant service companies.